Social media is all about making connections, updating others on what’s happening in your business or life, and sharing information that your followers want to see. Working in digital, the most important part of my role is engaging. I write, I blog, I research but what I don’t do very well is engage on Social Media. It might sound bizarre that I’m even sharing tips and tricks on this subject but that’s the point. My mission here is to engage and have more conversations. Remember! The number of followers you have shouldn’t be a reflection of how successful you are. Just a few kind words at the right time, in the right places, can boost your popularity and make people think of you as a kind, level-headed person. Remember that what you say when you post online becomes an eternal part of the Internet record. Take responsibility for what you share and know that even with privacy settings, it’s possible that anyone can see what you share online. Hashtags can help boost the impact of your marketing message when they’re used correctly. If you can come up with clever word combinations, use them as often as possible. Hashtags are searchable – and on most social media networks, they’re clickable too. People use hashtags to find relevant content and conversations, and as such, using hashtags can help place your content in front of your ideal audience. Social media and visual content go hand-in-hand. In fact, using images or graphics has benefits for social media sharing. Visual content is more than 40 times more likely to be shared on social than other types of content. Posts with eye-catching media are more likely to get attention and get shared, liked, or retweeted. Sharing or liking a post is the highest compliment you can give on Facebook. The same with retweeting on Twitter. Taking the time to read what others have to say and share comments and posts is one of the most powerful and effective ways to build engagement. Adding a thoughtful comment or reply on someone else’s posts is also a great way to build your own reputation online. Other ways to improve your credibility in certain industries is to network with industry leaders or targeted audience members on LinkedIn. A great way to engage on social media is to ask a question. This doesn’t mean you should ask a question for the sake of it or that you should ask a question in every post you make, but questions often bring better engagement. Many people feel more comfortable answering a question than simply commenting on a post, and questions can also bring out people’s natural desire to help. People are likely to engage with socially responsible and relatable content. Sharing an event you’re attending or a local cause you’re supporting can make others interested and perhaps join. Being topical always brings a fresh feel to your network and makes you up to date with current events. You’ll be revelant and it can help you connect with events people are already talking about. Thank your followers for positive feedback and if you’re a business try to find resolutions for negative messages. 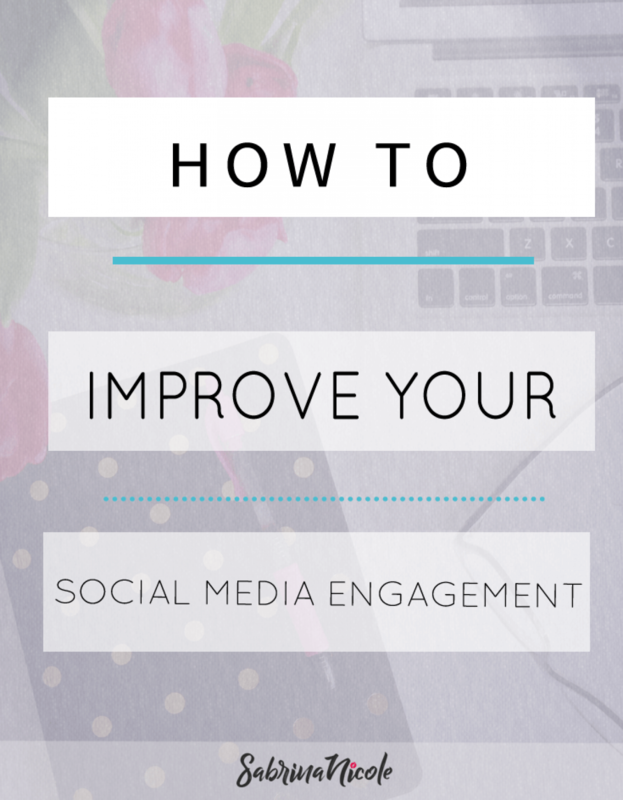 You’ll need to express your social side if you want to increase your social media engagement. People want to feel like their comment on your post is noticed and that there’s someone behind your social media account that cares about what they have to say. Although it’s good to connect and build relationships whether online or offline. Unplug from social media from time to time and focus on what’s around you. Don’t get sucked into what amazing or even negative things people are posting about their lives. You can always catch up on your feed another time. Social media is a powerful tool that you can use to shape perceptions but this doesn’t mean you shouldn’t be yourself. This includes the way you connect to your audience, your credibility and how you present yourself. Social media is becoming the first point of contact, so it’s an opportunity to build an engaged community. Holding a good conversation isn’t just limited to the internet, however, being active on social media is an essential part of your marketing plan, social skills or branding. Using social media is a great way to get people engaged, create long-term relationships and expand awareness of you or your brand. What social media platform are you the most active on?